The Product Development Research Lab at BTH are for the fifth year starting up a ME310 project in collaboration with the Design Division at Stanford University. As with the last three iterations, Volvo Construction Equipment are the industrial partner. 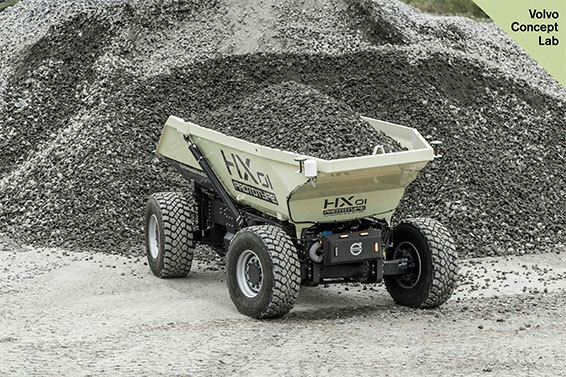 As is popularly reported in automotive industry, also the construction equipment industry are moving towards greater use of autonomous machines and capabilities. Volvo Construction Equipment earlier this year displayed autonomous prototype machines at their Exploration Forum. With autonomy and electrification, the machines are likely going to be conceptually different from what we know today. This would likely mean that, although we’re still going to be moving dirt, the construction site and the way to operate it is going to change as well. This is the starting position for the team to explore and come up with designs that shows the future of construction. Offering this kind of challenge to high-performing students allows Volvo CE to accelerate the exploration into the lesser known quarters of what-ifs. 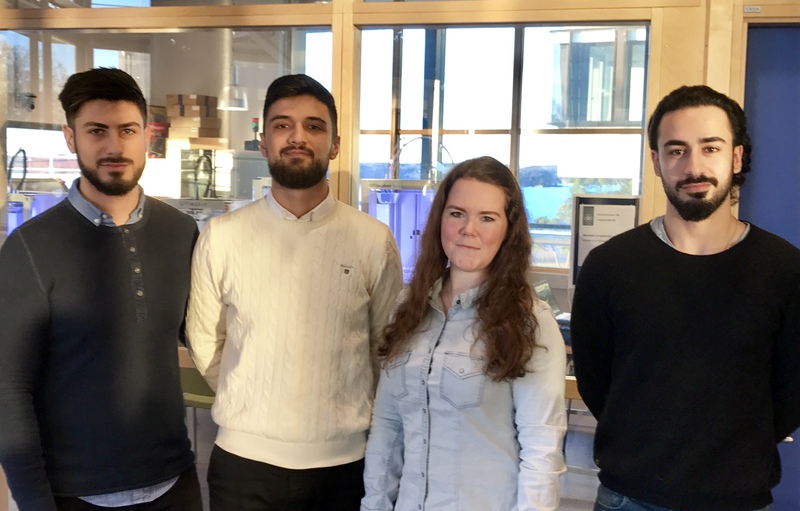 The Swedish part of the team consists of four students in their final year of their MSc programmes. They will undertake this project as part of their master thesis projects. Louise Karlsson, Noor Ameen, and Hassan Safawizadeh are students in their fifth year in Mechanical Engineering, while Kristian Elawad is a student in Industrial Engineering and Management. 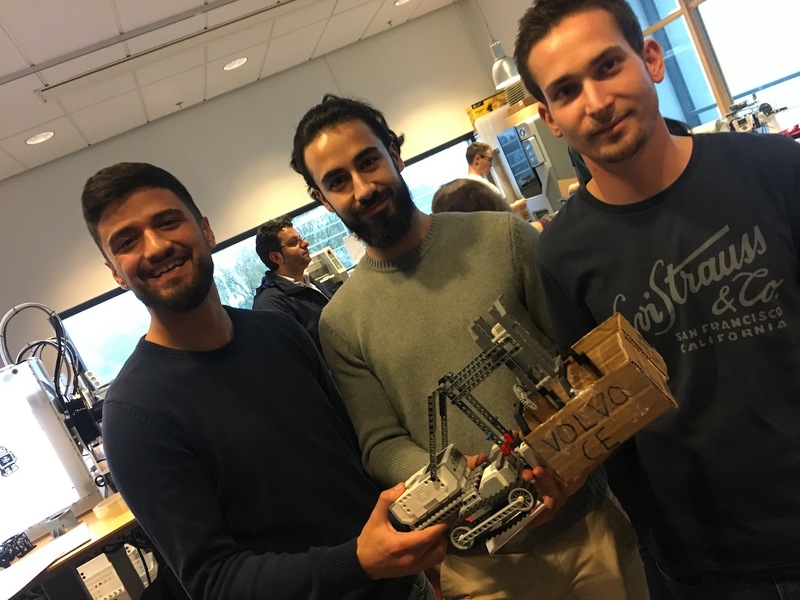 The Swedish team has gone through a number of design challenges to get acquainted with the problem as well as the development process applied in the ME310 course. 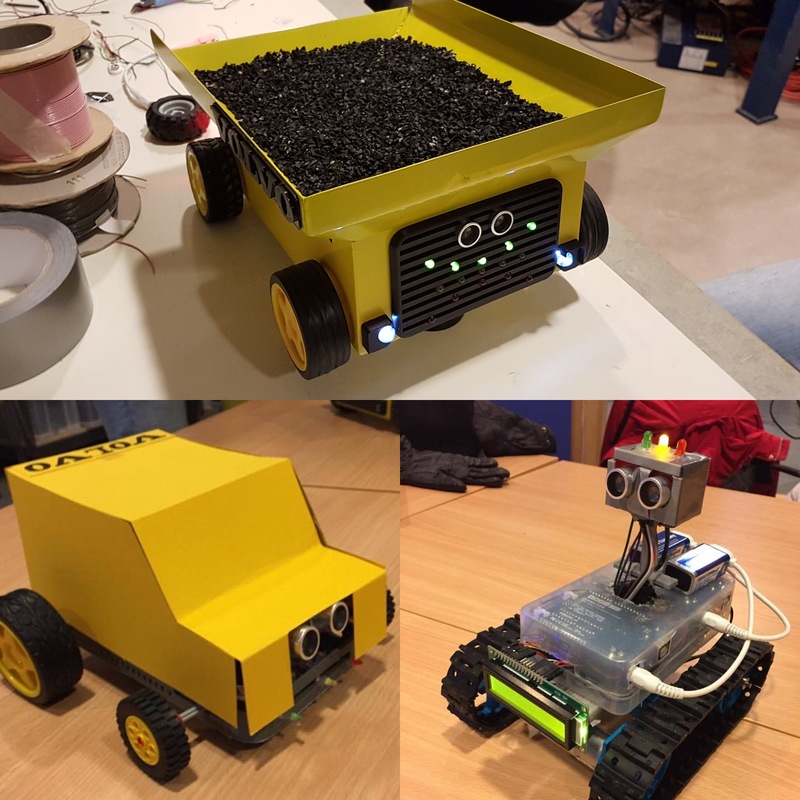 Back in October, the students and some 20 of their peers took part in a one-day challenge to rethink how to move dirt in an autonomous way, using various rapid prototyping tools at their disposal. Then the students have moved into needfinding, tech-watching, and early prototyping of machine-to-user communication with use of 3D-printing and Arduino-based technologies. Early concepts of communications prototypes. The final roster of the American team is due to be finalised following a number of team rotations where they have similarly, and in collaboration with the Swedish side, explored the preliminary design space. Now the teams are preparing for the real project kick-off, which is scheduled for mid-January at Stanford University in Palo Alto, California. Here the teams will kick the projects into high gear by doing a prototype iteration together, while at the same time also ensuring that the team gels as a truly productive global team. Ryan was a student of the program last year, being a representative on the BTH-team, and now returns to take on a role of sharing experience as well as guiding through the culture of working in a global innovation engineering team. This has been an ongoing collaboration for some years now. For more information, contact Christian Johansson (christian.m.johansson@bth.se) or Professor Tobias Larsson (tobias.larsson@bth.se).